[Snap] Impossible to get 100Mbps on snap UFB? Forums › 2degrees › [Snap] Impossible to get 100Mbps on snap UFB? Worth considering if these graphs include PPPoE overhead in them too. I suppose I'm just annoyed that I have to fork out an extra $199 to get a service I thought I would be getting with my current router. I asked the question when I signed up and was assured the 7340 would be fine. What's the likelihood of getting closer to 1gbps speeds with the latest fritzbox? Would I be better getting a different brand router, I believe fritz boxes are the only ones that snap supports. Probably will, the chance of you actually noticing on a wired connection are slim. The new router they give you should have much better speed via Wi-Fi, though. And yes, another router will work if you don't use the phone line. Snap will not support a 3rd party router if you call for support. If they are offering you the 7490 for $200 you probably arn't going to do much better for the money anyway. no idea what you will see with an upgraded fritzbox but highly doubt it will be more than 900.
i have no idea what you are doing to even think the extra 100 odd mbps is even worth worrying about, is it just bragging rights? Yep, that sounds like no PPP overhead involved. The 7340 is "fine" but if you want to see the full performance, you will need something that can route faster. 7490 certainly gets well above the 900 mark. you dont happen to have any examples of that do you? ill simply say i speak to someone who does extensive testing on snap. 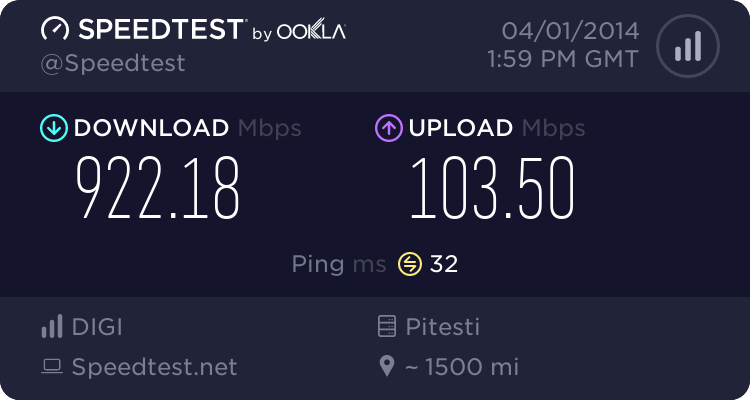 Speedtest.net doesn't represent likely real world experiences at that level. 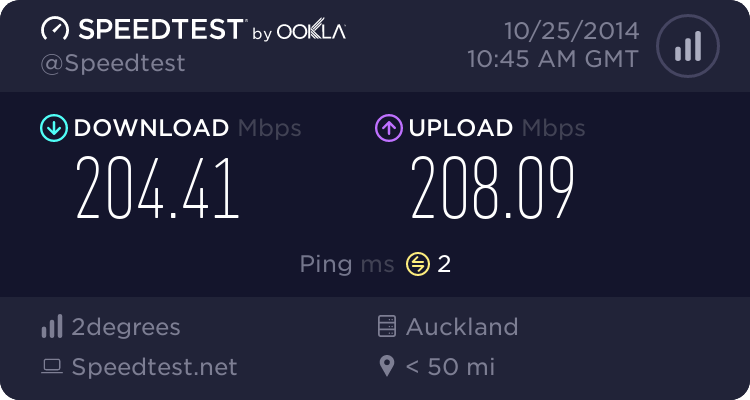 Get another router if you want to see a higher speedtest.net result on your screen. Don't bother if you're happy with real world performance. You won't get any better real world performance no matter what router you put in. 640Mbps should be enough for anyone. 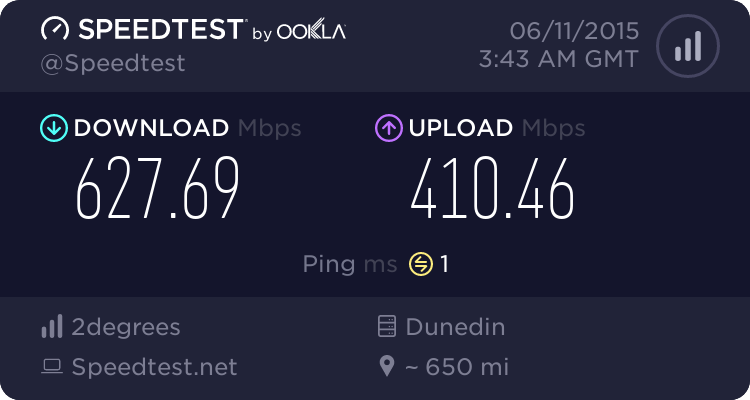 Ramrodd: I am having a similar problem with gigabit internet in Dunedin. I have a snap gigatown connection. I know that many of you would drool at getting over 200mbps but I'm a bit annoyed that I'm not getting what I paid for. I had a problem initially where I couldn't get over 70Mbps down (yes seventy, no missing zeros here). To snap's credit the helpdesk came to the party and that was fixed. Since that time I still havent been able to get over 700Mbps. I have rung snap and been told that they have logged into my fritzbox and seen at some point that I have hit 800Mbps and that is perfectly fine. I was told if I wanted to get more than this then I would have to pay $199 for my fritzbox to be upgraded. I originally was an adsl customer, and have been for over 2 years - our 24 month contract expired and now I am on an open contract. They told me I was not allowed to sign up for another 2 year term and receive another fritzbox. Im not entirely happy with having to pay $199 to get a better service - does anyone have any ideas why my current fritzbox, the 7340 shouldn't be able to obtain faster speeds? Should I have to pay for an upgrade? I remember a few people saying this was bound to happen, whether it was wireless, CPE not having the capacity for it (like here), or because a server couldn't provide it. Just be satisfied and move on imo, you're not going to saturate even the speeds you're posting already in real world situations imo. A gigabit per second really is a lot of data to move, and when a company with hundreds of employees gets a gigabit connection, theres a reason why they invest in their infrastructure to handle this sort of speed. Most home grade stuff isn't designed for it nor can many devices (eg wireless ) utilize it yet, something that of course chorus ignored in favour of the fanfare and hype around the promotion. You really need to test with another router or ideally pc first. not with the Windows PPPoE dialer however, it has a few issues getting over about 300mbit (IIRC) regardless of system. The cheapest way probally to get faster Gigatown speeds it to get an Edge router lite. And use your current Fritzbox to only do Wifi. Found this speedtest result on the Ubiquity forums. And this was done on a older firmware version. And on a PPP connection. Note that you need to create an account to access the above forum. I do not know if an Edgerouter Lite 3 will do 1000/1000, but mine is doing 200/200 on Snap UFB just fine. In my old ADSL config for it, I had lots of QoS priority queueing set up, and with that in place, I was only getting roughly 60/60 speeds, as it was not able to offload any packet processing onto the hardware. There are a number of features like QoS that can not be used if you want to do hardware offloading. Once I removed everything that was affecting the offloading, the speed shot up to full speed. There is still one offloading conflict - it can not currently do both VLAN and PPPoE offloading for IPv6, and since Snap uses PPPoE over VLAN 10, that means that IPv6 may not be able to be run at full speed. Serious first world problems in this thread......and in Africa a little girl waits.